Sunset view overlooking Cardiff Reef. A small break in the horizon provided a nice sunset on otherwise dark cloudy sky. 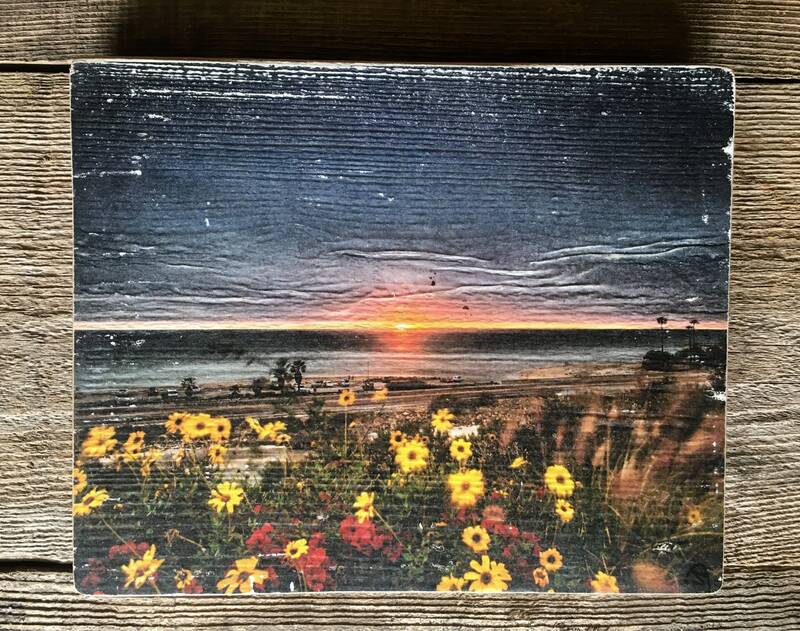 The image is transferred onto recycled wood. Its handmade process gives one of a kind result that makes each piece unique. Size: 10" x 8".